Rescue Divas is a five day residential camp experience, focusing on educating and exciting middle school age girls about careers (or volunteer positions) in Emergency Medicine. Throughout the week, girls will participate in exploratory, hands-on activities that focus on a variety of skills and knowledge needed in Emergency Medical careers. During the week, they will receive training in First Aid, CPR and AED use. Rescue Divas 2019 will be held Sunday, June 9th – Thursday, June 13th at Camp Northwoods in Mason, WI. Rescue Divas is open to middle school girls (currently in 6th-8th grades) in the ten counties of northwest Wisconsin – Ashland, Bayfield, Burnett, Douglas, Iron, Price, Rusk, Sawyer, Taylor and Washburn. In 2018, we were proud to have a film crew from the popular TV show Discover Wisconsin visit Rescue Divas camp. Learn more about how Rescue Divas got started in their video below. 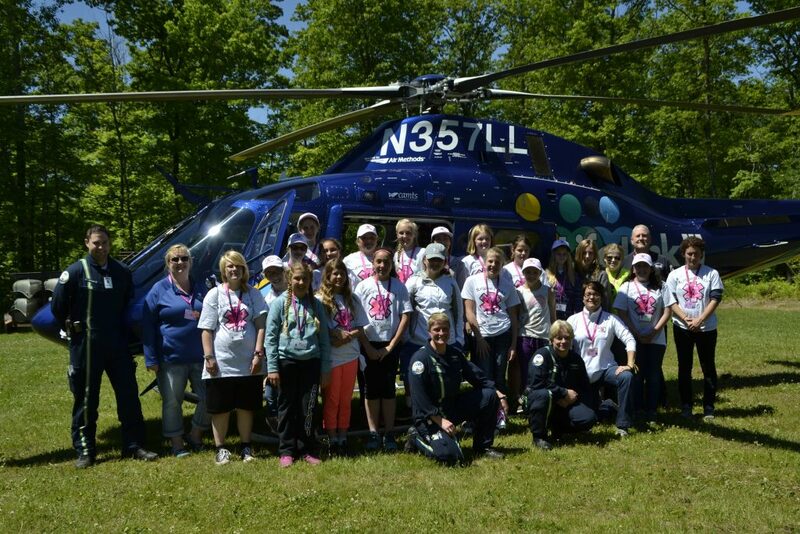 Rescue Divas EMS Summer Camp For Girls is a program provided by Northwest Wisconsin CEP. Learn more about all our supporters by visiting our Sponsors page.